The James Madison women’s basketball team was picked to repeat as the Colonial Athletic Association champions in 2015 according to a vote by the league’s head coaches, announced Tuesday at the annual CAA Basketball Media Day at the Center Club in Baltimore, Maryland. The JMU men’s basketball team was predicted to finish fifth in the 2014-15 Colonial Athletic Association standings, according to a vote by the league’s 10 head coaches, media relations directors and members of the media. Morgan Hill’s (Martinsville, Va./Carlisle) penalty kick with 1:49 left in double overtime provided the game-winner, as EMU’s soccer women earned their first victory of the year, taking down Hood by a final of 4-3. The way the ODAC coaches see it, EMU’s field hockey team will finish right where they did last year. After finishing in the middle of the pack at 4-4 in 2013, Eastern Mennonite has been tabbed for No. 5 in the ODAC Preseason Poll. One thing is sure after a quick look at the ODAC men’s cross country preseason poll – not much is sure. 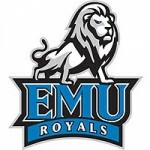 The EMU men ended up fourth in the poll, conducted by the league’s coaches, although they were just a single point out of third place in a jumbled ranking. JMU coach Matt Brady announced that he has hired Dorian Long as the new director of basketball operations for the James Madison men’s basketball program. JMU junior defender Bjarki Aðalsteinsson (be-are-key add-all-stein-son) was voted to the 2014 Preseason All-Colonial Athletic Association men’s soccer team. Redshirt-junior midfielder Taylor West (Princess Anne, Md./Pocomoke) and junior back Loes Stijntjes (Steenokkerzeel, Belgium/Heilig Hartcollege) represented JMU field hockey on the 2014 Preseason All-Colonial Athletic Association team, the league announced Thursday. James Madison field hockey was selected to finish fourth in the Colonial Athletic Association this season, a vote by the league’s head coaches revealed Tuesday. It may seem like a stretch to classify the best finish in 12 years as “frustrating,” but that’s what EMU cross country coach Jason Lewkowicz said about his women’s team last year. 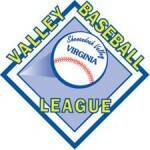 Staunton first baseman Gunnar McNeill was voted the Valley League Most Valuable Player in a vote of league administrators and media. McNeill was joined by Front Royal’s Jake Harper as the Pitcher of the Year. 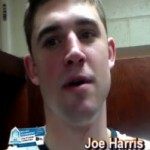 Former UVA All-Atlantic Coast Conference performer Joe Harris was selected by the Cleveland Cavaliers in the second round of the 2014 NBA Draft on Thursday (June 26) night. 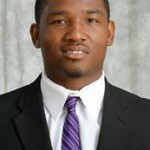 Harris was the 33rd overall pick of the draft. Reed Garrett, drafted out of VMI in the 16th round of this year’s Major League Baseball Rule 4 Draft, has signed with the Texas Rangers. VMI pitcher Reed Garrett was chosen by the Texas Rangers in the 16th round of the MLB draft, which took place Saturday afternoon via conference call. JMU men’s basketball coach Matt Brady announced on Wednesday the signing of transfer All-American guard Winston Grays to a national letter of intent to join the Dukes for the 2014-15 academic year. JMU senior guard Kirby Burkholder (Bridgewater, Va./Turner Ashby) is the Virginia women’s basketball Player of the Year by the Virginia Sports Information Directors Association (VaSID) the organization announced, Tuesday. Head coach Kenny Brooks was voted the State Coach of the Year. Top-seeded JMU shot 46 percent from the field, including 54.2 percent in the second half as it won its Colonial Athletic Association Quarterfinal game against ninth-seeded UNCW 69-56 at the Show Place Arena in Upper Marlboro, Md., Friday. NC State sophomore forward T.J. Warren has been chosen as the 2014 Atlantic Coast Conference Coaches Basketball Player of the Year. Duke freshman Jabari Parker and NC State sophomore T.J . Warren lead the 2013-14 All-ACC Basketball Team, while regular-season champ UVa. failed to land a player on the first team, as voted upon by the Atlantic Coast Sports Media Association (ACSMA).